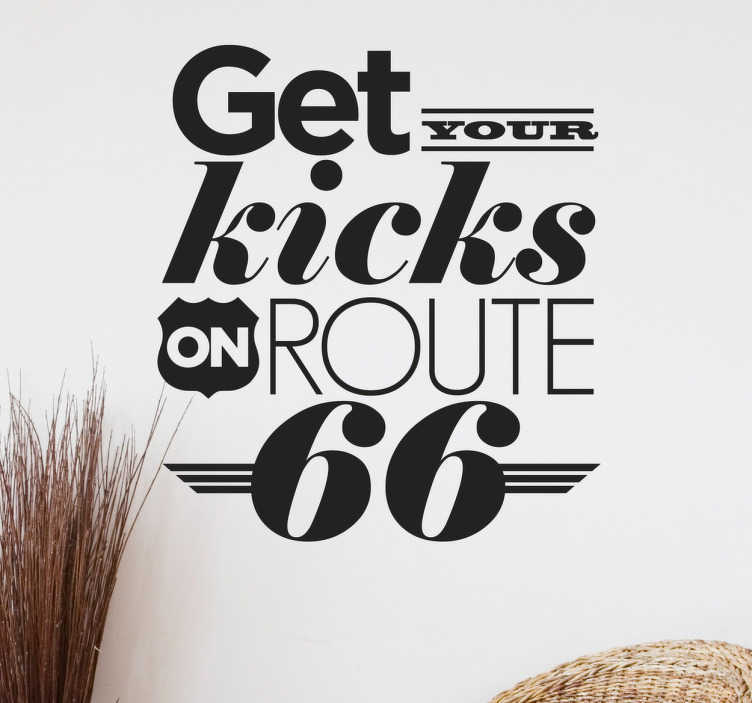 Text Wall Sticker with a familiar quote from Chuck Berry regarding Route 66; Get your kicks on Route 66. A beautiful wall decoration for anyone who dreams of once again driving down this beautiful highway. This quote is also fun for Chuck Berry fans. Apply the stickers on the walls in your living room, bedroom or garage and show everyone that you want to drive on one of the longest and most famous road in the world.